Zeshan Bagewadi. Bagewadi’s first album, ‘Vetted,’ moved into the Top 10 of Billboard’s World Music chart within a month. His hard work paid off. The album “caught fire” after it was released in April 2017, moving into the Top 10 of Billboard’s World Music chart within a month. Growing up in a music-loving household that exposed him to genres ranging from Indo-Pakistani music to soul tunes, Bagewadi describes “Vetted” as the sum of his life experiences and influences. Bagewadi studied opera and voice at Northwestern as an undergraduate and master’s student before realizing he longed for a different career — one that allowed him to draw from his personal experiences rather than playing a character. Bienen Prof. Kurt Hansen said Bagewadi’s individuality played out in his performances even as an undergraduate. For example, Bagewadi’s senior recital was one of the “most unusual” recitals he had ever witnessed. Hansen said he has been “so pleased” with the new direction of Bagewadi’s blossoming career and the breadth of music he is able to sing. 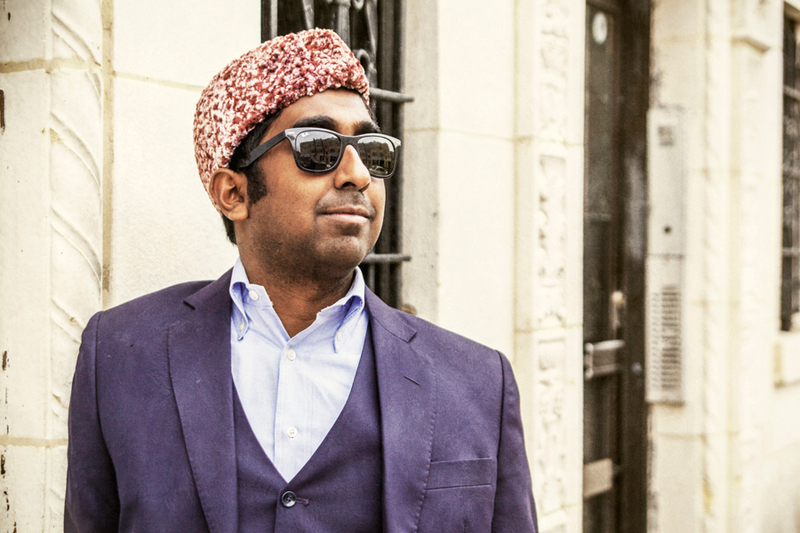 The album, he said, showcases his experiences as a Muslim and Indian American. Moved by the Black Lives Matter movement and the death of Sandra Bland — a friend of Bagewadi’s from high school — Bagewadi said he was compelled to use his music as a way to speak out on important matters. Bienen Prof. Sunny Joy Langton said Bagewadi’s focus on using music as a platform was unsurprising, given his genuine passion for humanity. Langton, who taught Bagewadi when he was a master’s student, said his enthusiasm for life and for honing his craft is what sets him apart as an artist. Although “Vetted” was released less than a year ago, Bagewadi said he is “already tired of it,” and has been dedicating most of his time to working on a new album, writing new music and collaborating with other artists across the country. He hits the road next week for a month-long tour and has many other performances and festivals lined up in the future — including his debut performance at Lincoln Center in New York in May. Bagewadi said he hopes listeners feel a deep sense of empathy listening to the album. In a society where apathy has become “so commonplace,” Bagewadi said he wants people to look beyond their own lives and feel others’ pain. As an artist, Bagewadi said he doesn’t sugarcoat or shy away from uncomfortable topics. Wanting to “tell it like it is,” Bagewadi said he hopes listeners are moved by his music. “If people feel that empathy, then I guess I’m doing my job right,” he said.